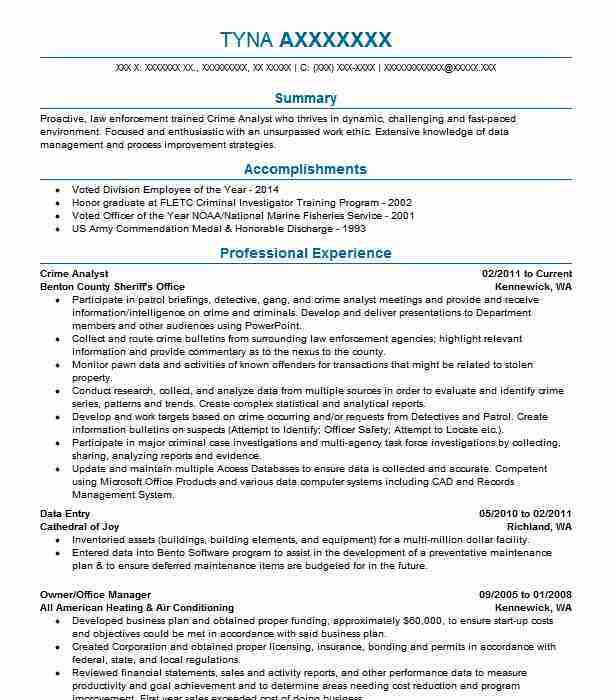 Professional Crime Analyst who is able to accurately develop projections about upcoming crime based on past events. Adept at working with all levels of authority to gain information expressing ideas in a concise manner and developing useful spreadsheets to help identify criminals. 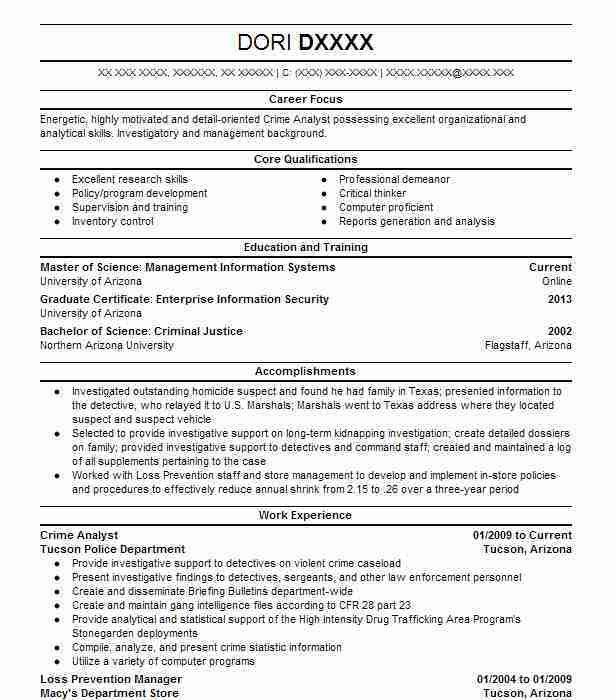 Specializes in criminal investigations and the data concerning crime trends. Responsible for maintaining statistical data on all crimes committed in the region. Regularly attended criminal investigation seminars to learn new ways to apply trend models to existing data. Assisted police chief in constructing an archive system for all criminal data and tying that archive into federal resources. Worked with police chief to make crime trend models part of the criminal investigation process. Regularly supplied investigators with crime trend information to assist in ongoing investigations. Helped to implement the station’s first photo identification software program. 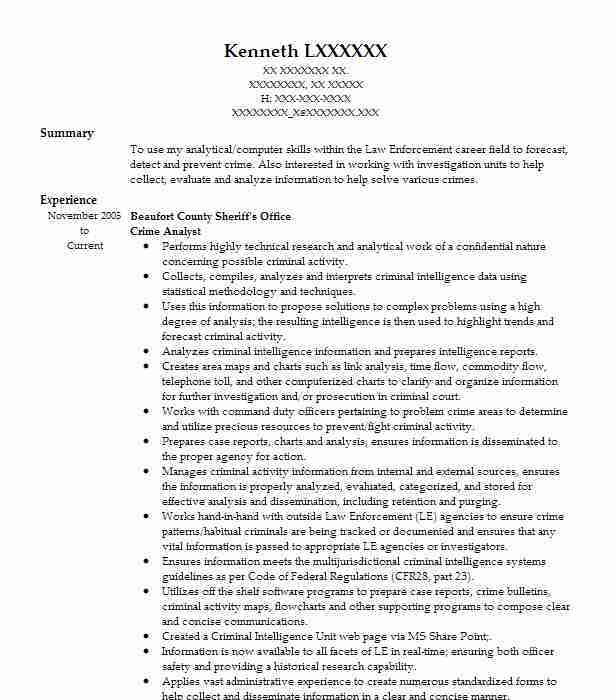 Responsible for organizing existing crime data into an accessible computer database format. Submitted monthly crime data report to police chief along with projected crime trends. Assisted investigators in collecting evidence at the scene of investigations and cataloging that evidence for later use. 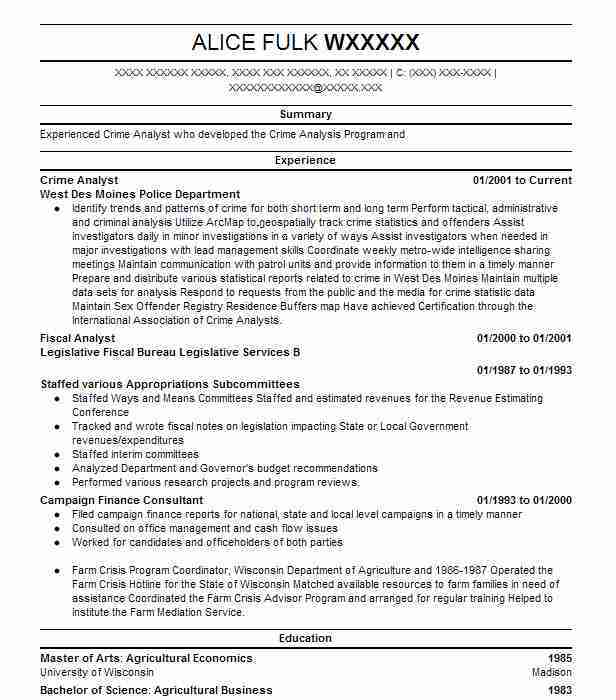 There are plenty of opportunities to land a Crime Analyst job position, but it won’t just be handed to you. 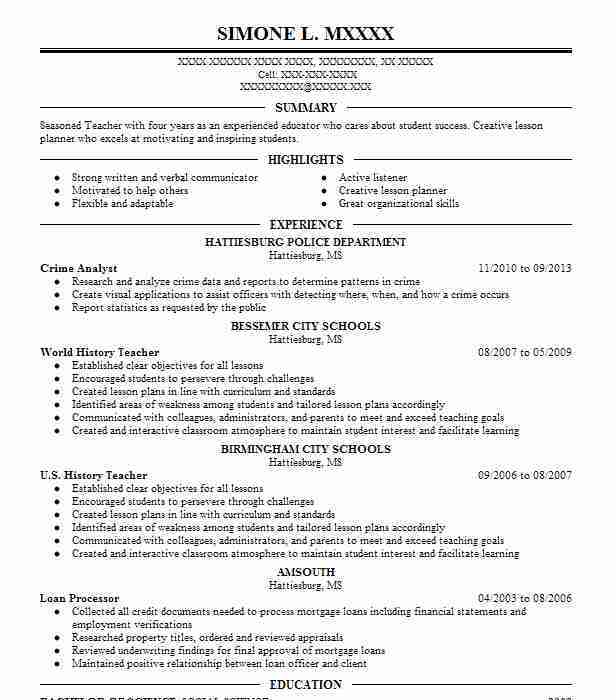 Crafting a Crime Analyst resume that catches the attention of hiring managers is paramount to getting the job, and LiveCareer is here to help you stand out from the competition.